Offices to let – 3,000 to 20,000 sq ft.
We have a range of attractive offices available throughout Skypark to suit your requirements. As well as the uplifting views over Glasgow through our floor to ceiling windows, the ample parking and our five star service, you’ll find our space attractive and affordable. Each office provides air conditioned suites with raised access floors, suspended ceilings and full access to a wide range of broadband providers. 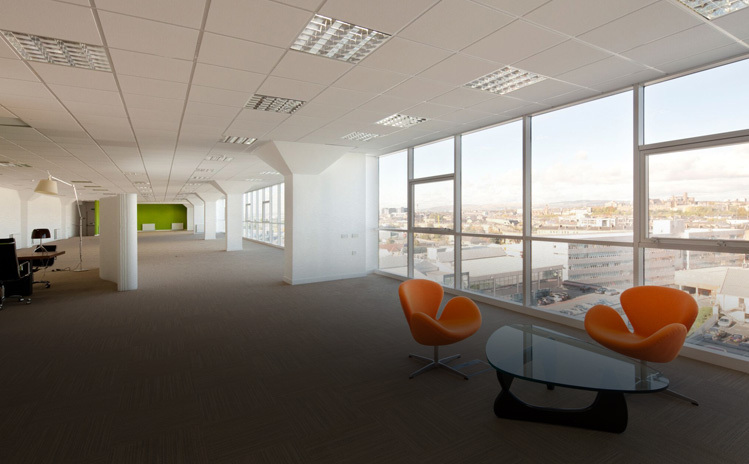 Our suites range from 3,000 sq ft up to 20,000 sq ft and are available for immediate occupation. Our team of professionals are on hand to help your move run smoothly.